Israeli interior ministry withholding travel documents from Omar Barghouti, who ironically complains Israel is 'demonizing' him. One of the most prominent leaders of the so-called Boycott Divestment and Sanctions Movement (BDS) against Israel - who ironically has been studying at Tel Aviv University for the past several years - has been denied travel documents by the Israeli interior ministry. Palestinian Arab Omar Barghouti was informed last month that the interior ministry would not renew his travel documents, which are usually granted to permanent residents of Israel who do not have full citizenship. An interior ministry spokeswoman told AFP that Barghouti could not yet receive his travel documents since Interior Minister Aryeh Deri was considering revoking his permanent residency altogether. "The minister wants to consider his status. He lives in Ramallah most of the time and part of what determines one's permanent residency is where the center of life is," she said. "His (BDS) activities are also part of this." Barghouti, whose family are Palestinian but who was born in the Gulf state of Qatar, married an Israeli citizen of Arab descent, entitling him to claim permanent residency. Barghouti denied that he had ever been permanently based in Ramallah. "I reside with my family in our home in Acre (Akko)," he told AFP. "I've had Israeli permanent residency for almost 23 years, in accordance with the law and without any violations." He said that he had been due to attend two major events in California in recent weeks but had been prevented from doing so, though he did speak to them via Skype. "Effectively I cannot travel at all," he told AFP. "Israel is imposing this travel ban on me, demonizing me and threatening me to intimidate me into silence," he added, vowing to continue his work. 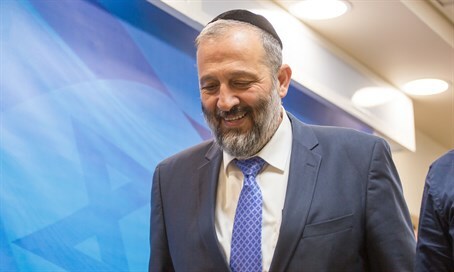 At a conference earlier this year, Deri announced he had been asked to revoke Barghouti's residency altogether and was "inclined" to do so. "He uses his citizenship, his permanent residency, to come in and out to the rest of the world and act against Israel in the most severe way," he told attendees at an anti-BDS conference. Barghouti said he feared this was the ultimate goal of removing his right to travel. "It is a first step towards implementing Deri's threat to revoke my permanent residency," he said.